Excellent practice with friendly, helpful staff. I would highly recommend it. Always a pleasure to visit you all and the care is always first class..
No complaints, professional care. Excellent service. Neeta and her team are &lsquo;Simply the Best&rsquo;. Lovely people who do a great job of looking after the patients! Thank you for the teeth check up Neeta and Meera! You were both amazing and highly skilled, as always! See you at my next appointment! Extremely professional and friendly. Made to feel more than just a patient. I have always found staff to be kind, knowledgable and cheery. Professional approach from the moment you enter the surgery . 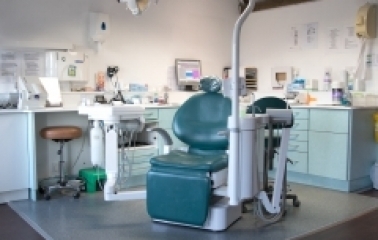 All dental work is fully explained and questions answered leaving one reassured. Dr Ketan Patel did my implants and explained every step of the way resulting in an amazing result . Very wellcoming and friendly. Have been going to this practice for many years. Great dentist and hygenist - always a pleasure to visit. I am satisfied with my treatment in a very friendly atmosphere. I have just had two implants done by Ketan. He, Margaret and the whole team are just wonderful and the end result is marvellous. So grateful to this practice for all the care from all the staff over all years we have been patients. Very happy with the practice. No Complaints !! As always a very friendly and highly professional consultation. Very re-assuring to an anxious patient such as me. Professional and relaxed service represents good value. Have been going to this practice with all my my family for many years. First class treatment and service always. I highly recommend the practice!!!!! A good experience, but I&rsquo;m always happy when I leave the dentist & don&rsquo;t have to return for 6 months! Ketan has been our family dentist for donkey's years and its always an assuring experience. He has a great professional team, which I would recommend to anyone without hesitation. The practitioners are always very friendly and respectful. I have had constructive advice and treatment at the practice with positive results. I have been coming to see Ketan for over 25 years now. He's a fantastic, professional dentist and has always shown the utmost respect for all of his patients. I've always been extremely well looked after, his fantastic demeanour and wealth of knowledge will keep me coming back for many years to come. Fantastic surgery, would always recommend. Best dentist in London, good golf instructor too ! As always perfect service from the team. I have been a patient for longer than I can remember. Always welcomed by very friendly, professional and efficient staff. Excellent service - always seen promptly. Frank advice on whether or not to opt for certain treatments. Friendliness, attention and treatment as excellent as ever. My husband and I travel from Norfolk twice a year for our check ups having moved from West London and our children travel from Essex. I think that sums up how well treated you are at the Cornerhouse Dental practice. As always a friendly and efficient experience! As always, very well cared for. dr keten patel is just great and is the best been going 20 years top place 10 out 10 cant say no more. A very professional yet relaxed service is provided on every visit. This Corner house Dental care are amazing! Professional caring service have been patient for many years since previous dentist retired from same practice. It is always a pleasure visiting Cornerhouse, whether it's Ketan, Neeta, or Meera I see I am always welcomed with a very friendly, personal, and professional attitude. Since i meet Neeta . All i can said is best dentist in the area. Saw 3 before her. As always , everyone was very friendly and most professional.Very reassuring to a nervous patient like me! I have used this practice since moving to Hertfordshire 12 years ago. Despite a house move further away from Elstree, I travel to see my Dentist. My son is Autistic and my dentist is so great with him. I even recommended my dental phobic Mum who was treated with gentleness, kindness and understanding. A definite 5* treatment! Satisfactory. Not sure if I would say "Loved it", but very pleasant and professional. I used to dread going to the dentist but I feel very much at ease now as I'm so well looked after. Thank you! Everyone is calm, considerate and professional. It takes the anxiety out of visiting the dentist. No one really looks forward to a visit to the dentist, however I have such confidence in Neeta that I don't concern myself. Neeta has such a reassuring manner that I am confident I am in good professional hands- she is a great and caring dentist! I see Neeta who has a lovely manner and always makes me feel comfortable never does anything that is not necessary. All the staff are friendly and efficient. My Family have always found Cornerhouse Dental to be friendly, knowledgeable and professional.I would thoroughly recommend the practice to anyone looking for the best treatment. Always friendly, helpful and attentive.